Or, at the very least, the head of Kendrick Lamar’s label did not like it. On Friday night, Top Dawg Entertainment CEO Anthony “Top Dawg” Tiffith released a statement criticizing GQ’s recent profile of Lamar in the magazine’s “Men of the Year” issue. While Tiffith called Lamar’s new “Rapper of the Year” title “an honor,” he wrote that the story was characterized by “racial overtones,” which “immediately reminded everyone of a time in hip-hop that was destroyed by violence.” Tiffith explained that he was so displeased by the piece that he had Lamar cancel his scheduled performance at last week’s “Men of the Year” party. Tiffith argued that the piece was “focused on what most people would see as drama or bs,” presumably because it covers Lamar’s much-discussed, dis-heavy verse on Big Sean’s “Control” and his subsequent fight with Drake. He also took issue with a line where writer (and Vulture contributor) Steve Marsh expressed “surprise” at the “discipline” of Lamar and his Compton-raised crew, who, he noted, did not “roll even the thinnest spider leg of a jay” in his presence. And, while Tiffith did not complain about it specifically, Marsh also referred to him as “basically TDE’s Suge Knight.” (For those who skipped that part of the nineties: Suge Knight is not exactly a paragon of discipline.) “Instead of putting emphasis on the good that TDE has done for west coast music, and for hip hop as a whole, [Marsh] spoke on what most people would consider whats wrong with Hip Hop music,” Tiffith wrote. GQ editor-in-chief Jim Nelson responded with a statement calling Lamar “one of the most talented new musicians to arrive on the scene in years” and describing the article as “incredibly positive.” “We were mystified and sorely disappointed by Top Dawg’s decision to pull him at the last minute from the performance he had promised to give,” Nelson continued. 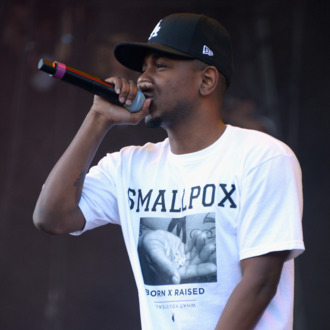 “The real shame is that people were deprived of the joy of seeing Kendrick perform live. I’m still a huge fan.” Lamar himself still has yet to weigh in on this.